All of the soaps on this page are limited time only soaps. Some of them I do a little more often, but they are not my standard signature stock. So, if you something that you know you'll love, better buy several before they are gone! Have a suggestion? Then head on over to the forum and make a suggestion! Also be sure to sign up for our mailing list to find out what specials I'll be running as well as new blends that will soon be available. I am also offering 1/2 off of shipping!! I use USPS Priority mail to send my soaps. 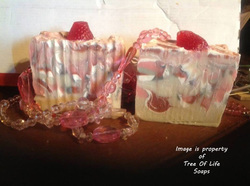 A decadent Bastile soap with organic olive oil, organic rice bran oil, organic baobab oil, organic mango butter, 100% pure aloe Vera juice, & fragranced like a chocolate dipped strawberry, oh my! Did I mention pure organic, sustainable silk too!! Why don't you try it & reserve your special, luxurious bar of sinfully decadence without the calories now! Beautifully made with silk, organic coconut water, pure aloe juice, organic Shea butter, organic sweet almond oil, goats milk ,olive oi﻿l, vit﻿amin E, pink clay, & more! Of course filled with healing reiki symbols. A healthy alternative for healthier & more beautiful skin. You don't need to lotion up after using this luscious bar of Heaven!! 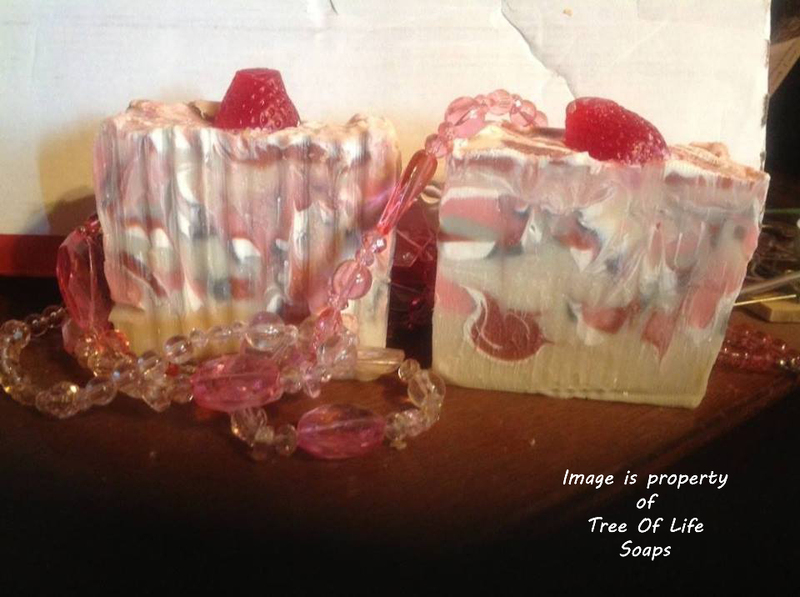 More Limited Special Soaps to come!! Please be sure to check back!! Would you like try 4 bar special with different soaps? Then use the button below and in the box that will ask for Special Instructions, please let me know what 4 bars of soap you would like.